Ever since our oldest son was old enough to enjoy watching kids movies, our family movie nights have never been the same. From Monsters Inc., to Robots, to Cars, to Wall-e, to Kung-Fu Panda: many a Friday night has been spent watching these movies and letting their themes and world views seep into our conscience. And while they may be marketed towards kids, many of the themes these “cartoons” deal with are not just kid oriented, but things that many of us struggle with long into adulthood. 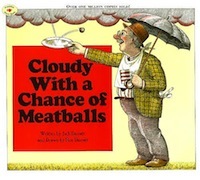 One of our favorite movies we enjoy watching with our kids is Cloudy With a Chance of Meatballs, based on the kids book of the same name. It’s always a challenge to take a well-loved story and adapt it to film. Often it involves cutting much of the story (as in all the Harry Potter films) to make the film a manageable length. 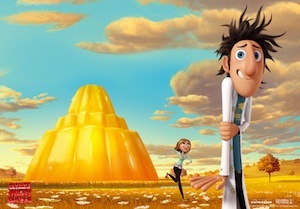 Fans of the books often poo-poo such changes, but in the case of Cloudy With a Chance of Meatballs, cutting isn’t the issue; rather, the book is so small, with so little actual plot, to make a film requires adding a great deal to the narrative. Directors Phil Lord and Christopher Miller both count Ron and Judi Barrett’s best-selling book among their favorites from childhood, but in making the film they had to completely reinvent much of the book, and although the film is different than the book, the sense of absurdity that makes the book so enjoyable is still central. Whereas the book is a simple tale of imagination and fun, the film provides a platform to explore some pretty significant themes, and along the way the story also gives us something of a basic introduction to sin. I found it interesting that almost every character in this movie displayed some sort of sinful attitude that brought complications to the story. Whether it’s Baby Brent’s hubris, the Mayor’s greed, or Flint’s pride, the sinful nature on display in this movie ultimately brings sorrow to all the residents of Chewandswallow. In the case of Flint, he initially believes that he has saved his community, only to find out that he has placed them in danger when his “good” thing is taken too far and becomes “bad.” This illustration alone is one of the most convincing images in the movie of the power of sin and idolatry in our lives. Something that was created for good is taken too far by our fallen human nature, only to eventually cause our downfall. As a Christian, I believe that sin and idolatry is anything more important to you than God, anything that absorbs your heart and imagination more than God, and anything you seek to give you what only God can give. An idol could be anything so central and essential to your life that, should you lose it, your life would feel hardly worth living. Basically, if anything becomes more fundamental than God to your happiness, meaning in life, and identity, then it is an idol. Idols in our lives can be complicated to identify, as they can be personal, cultural, and even intellectual. They can be interwoven in our theology, our politics, our race, our nationality, our relationships, our religion, our philosophies, and our culture. The idols then drive our motivations and temperaments. But simply understanding, identifying, and removing idols is not enough. 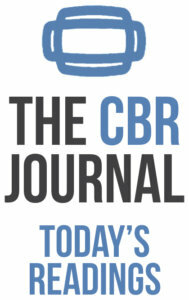 They must be replaced, and the verse in Colossians above shows us how. Idols (sin) must be uprooted by repentance, and replaced with rejoicing in Jesus Christ alone as our ultimate and only true fulfillment. This process, however, will not happen overnight, as this is something that our sinful natures will struggle with our entire lives. The mayor’s greed for power not only literally sinks him in the end, but pushes Baby Brent into an iconic and self-destructive status. Baby Brent in turn finds himself driven by the pleasure he experiences from the adoration of others. The rest of the town, upon experiencing the “manna from heaven,” longs for more and more and is never satisfied. Whether it’s food, or adoration, or power, or fame, humanity as experienced in Cloudy With a Chance of Meatballs can never achieve happiness through the “good” things they strive for. 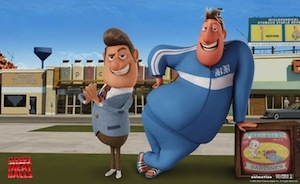 Cloudy With a Chance of Meatballs is a terrific movie for you next family movie night. It has plenty of action and humor for kids and adults alike, while also delivering a few poignant lessons for the whole family. Whether you walk away from the movie having loved the budding romance between Flint and Sam, or preferring the developing understanding of fatherly love between Flint and his father; or whether you can see the lure of the devilish mayor and the temptation to succumb, or the longing for acceptance within community, or the temptation to seek things that only God can give, you can’t miss the lessons that the movie affords all of us.